HEIRLOOM GENES IN YOUR DNA? 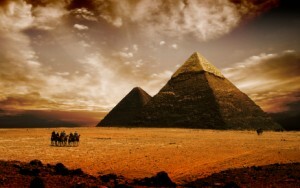 Our more recent ancestors overcame incredible adversity. The stories of the difficulties are endless and amazing. It’s always, “Wow! How’d they do that?” Moving families across oceans and continents to unfamiliar lands and language, having the will to succeed and sustain through all the inherent challenges of lives threatened in ways they never imagined, nor could we ever imagine. Eking out existences from farming very unforgiving land, but they survived and overcame. No chemicals. In a frighteningly short time, big industry came in and diluted the strong heirloom strains with chemicals changing the plant’s DNA to accommodate the growing population. The quality of heirloom seeds became weaker, requiring more chemicals to reproduce and survive because the strains were becoming even weaker. Our weaker populations grew, the weaker food industry grew, big business grew with all its inherent vices. And now we both require chemicals to survive. 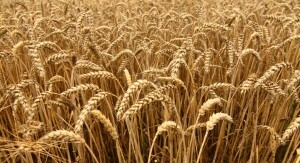 The seed stock of grains, all food stocks, livestock and produce, has been pushed to the limit to be produced with chemicals. All strains have been hybridized to accommodate the demand of mouths to feed and big business. Think about it. Our food is no longer sustainable without chemicals. We, as consumers, as humans on this planet are no longer sustainable without chemicals. You don’t have to go any further than your TV to see all the commercials pandering to the pharmaceutical companies pushing all the chemicals to make us ‘healthier’ so we continue to consume the foods grown from the agricultural chemicals. What a racket. And we have become the pharmaceutically farmed livestock herded to our inevitable slaughter because of our consumption of the unsustainable sustenance. How’s that for becoming what we eat? Time for a change. A light at the end of the tunnel is here, organic sustainable farms. It’s happening. Enter the Green revolution: getting back to what ‘mom ‘n pop’ used to produce on their sustainable farm, the food that fed them giving them their incredible mental and physical strength to pass down to us. They are turning over….. Healthy sustainable foods make us mindful, not mindless. They sustain us as they did our ancestors, able to cope and come through challenging life situations as did the heirloom foods. Our improved intuition and good judgment steer us to foods that will nourish us to make healthy choices in life, government, international communication, a healthy sustainable economy, everything that we need for a happy planet. Back to basics takes on a whole new meaning here. 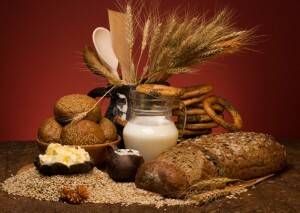 Along with the advantages of consumption of heirloom foods, physical and psychic comfort equals a healing environment. That’s why at stressful times we want comfort foods. Can whole grains and natural foods be comfort foods? Absolutely! We’re not talking about tasteless straw here. We’re talking about delicious, pre-chemical, heirloom foods that ultimately made us who we are and that we need to get back to to sustain us now. I’ve seen this so many times when I’ve private cheffed for people. Tapping into their culinary, cultural backgrounds, they are so surprised at how much their bodies and psyches respond to the whole grains and natural foods of their ancestors. I hear comments like, “It’s like coming home.” “It feels sooo good!” When that chord is struck there’s no going back especially when the tastes meet the quality. You know intuitively down in your bones, it’s right. Intuition. It only gets stronger with heirloom foods. It’s like a muscle. The more you use it, the stronger it gets. That’s the master key to unlock and explore your familial food genes. Trust it. It’s the foundation for your good judgment. For some of us we remember the aromas and tastes, the coziness and comfort of grandma’s kitchen… when grandma actually recently came from one of our DNA countries. It felt so safe, so loving. The outside world didn’t exist. You were there fully enjoying and relaxing in that moment. Nothing else, just the food and love mattered – Spanish rice, kasha, sushi, handmade pita, falafels… That’s what comfort food is, and in that sense it’s healing and healthy. An added little tidbit is those foods from grandma’s kitchen were not made with ingredients that you couldn’t pronounce. Straight forward, honest, simple, old world but an era that you can recreate in your kitchen for your family by tapping into your cultural comfort foods whatever they are. Get the kids involved. They’ll love it. You’ll find yourselves on a fascinating journey through all the different culinary cultures that make you you. Here’s another one for you. You are what you eat, BUT you can also eat what you are. Aha! There’s food for thought. We’re still not so generationally removed that someone doesn’t have some recipes from the ‘old country’ floating around. But if not, research it. You have untold, innumerable delicious, dining delights waiting for you. Unwrap your arms from the ‘shoulds’ of socially constructed chemically induced conceptuality. Instead wrap them around the wondrous adventures in trusting your intuition and educating yourself while ferreting out your cultural roots, your heirloom genes. Get your family and children involved. Have a culinary cultural coming home party with the foods that great grandma Tata or great Aunt Angelina used to make – organic or best quality brown rice, quinoa, other grains, whole grain pastas and breads, green, yellow, orange, white – all shapes and sizes of organic veggies. Just research and get the heirloom equivalents. Connecting with them again in the kitchen and returning to your natural roots is priceless!